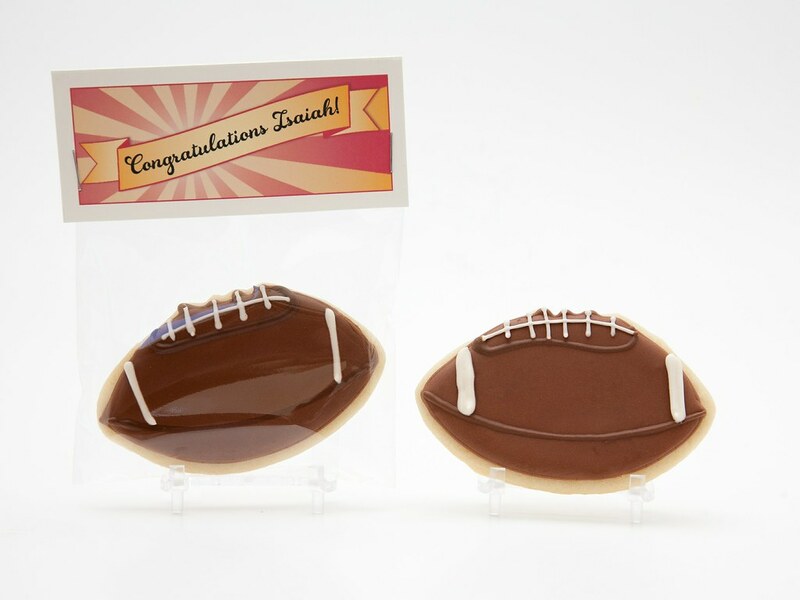 I made these football cookies for an 8th grader boy's graduation party at the end of the school year. Yes, I know...Now it's all "back to school" and I'm just being cruel teasing you with graduation celebration talk. Sow-wee. The art teacher at my nephew Oscar's school actually bid on them -- thanks to Mark & Vale who donated one dozen custom Sweet Kiera Cookies! 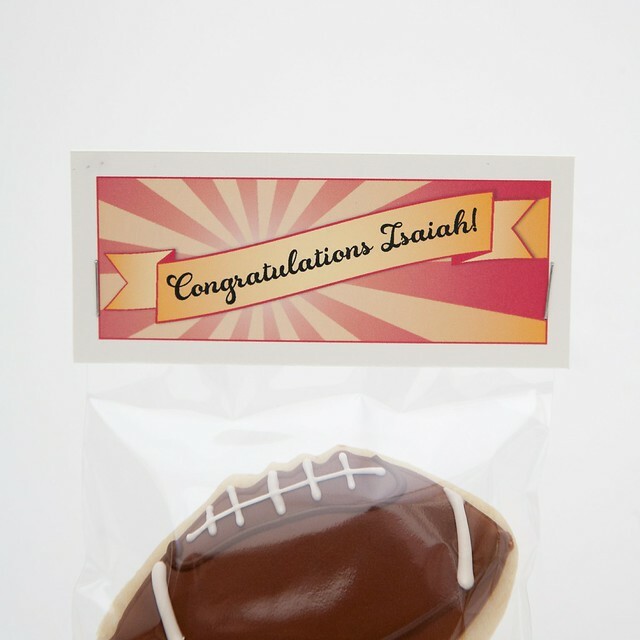 I made the tags in red and gold in honor of the grandson's favorite team - the 49ers! 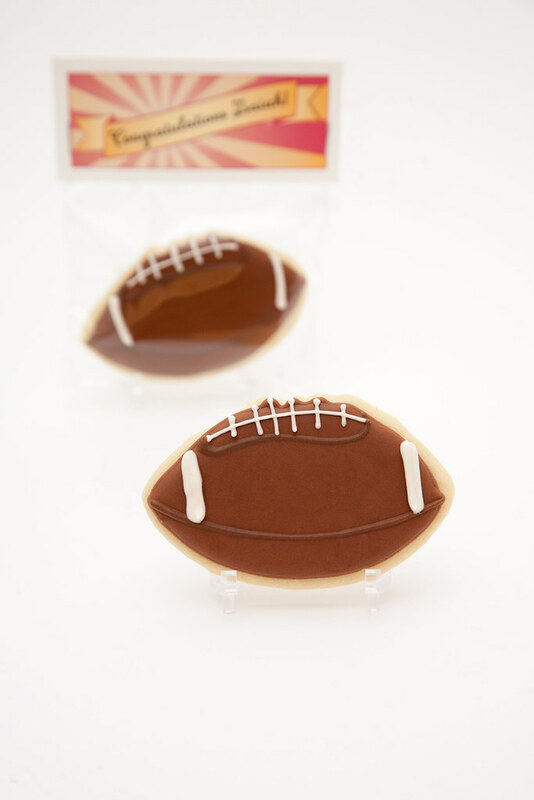 The whole reason I was reminded I never did this post because I've got another 49er cookie coming up very soon... so, Stay Tuned!